Sermons by preachers affiliated with the Insitute of Evangelism. There was a couple who were having serious issues in their marriage, mostly because of financial difficulties. After a stewardship sermon at church, they went home and had a huge discussion. They decided to sell their house and buy a smaller one. They did just that, and saved their marriage. In fact, their whole lives were changed. That experience reminded me of how important preaching is, because what happens if people really believe what we are saying and begin to order their lives around it? Imagine if they do that with sermons about money. For their part, the members of the congregation often have an uneasy, maybe even a love/hate relationship with their finances. They work hard for their money and sometimes find it difficult to make ends meet. Many are stretched to the point of discomfort and worry over the state of their personal finances. They are, after all, deeply influenced by a culture that encourages them to live on 120 per cent of their income. And they know they should be saving for retirement. Often they feel that they really should be giving more to the church and charities, and probably wish they could. It’s not hard to understand why talk about money and giving might make them feel uncomfortable, and maybe even guilty and resentful. So how do we acknowledge this reality and move to healthy ways of talking and preaching about money in our churches? Move away from the customary fund raising mindset in which we talk mainly about the needs of the church and how we need everyone to step up and do more to meet these needs. Such conversations do have their legitimate place of course, but they should not be given priority in our talking about church and money. We are charged with the leadership and spiritual care of congregational communities, and so our work is to help our people as individuals — and our congregations as communities — to grow to maturity as followers of Jesus who are learning to live their lives to the glory of God. This involves learning to make the connections between our faith – our commitment to follow Jesus – and all the various areas of our lives: our character, our worldview, our roles, our relationships and our responsibilities. Help Parishioners to make the connections as a key part of the great adventure of faith. One of the really important connections has to do with the role that money plays in our lives. Jesus knew that this connection was so important that he spent a lot of time talking about it. Not because he was looking for donations for his ministry, but because he knew that people needed a new way of thinking about money. They needed to be free of its power, in order to live the new life of the kingdom he proclaimed. Help people understand the role that money plays in culture and the power it has in our lives. Money is about far more than purchasing power in our world. It is closely connected to ideas about success, living a useful life, being clever and talented, security, fulfilment, satisfaction and joy to name only a few. The spirit of money, what Jesus called Mammon, is one of the most powerful idols in our culture. It is the ultimate measure of almost everything and it is behind a lot of what we do and think in life. In helping people to follow Jesus and live the life of his kingdom we need to help them to name these issues, to understand them, to see through them, and to put them in their place. We need to acknowledge that these are also issues for clergy and the Church. None of us is immune to the power of money. Before we preach any sermon on money we should always ask ourselves, “What is the good news for my people in this sermon?” When we teach these things about the power of money and its place in our culture and our lives with kindness, understanding and empathy, many of our people will hear it as the good news it is intended to be. They will hear it with relief and gladness rather than discomfort and resentment. Our goal in this teaching is to help them to name and understand these things so that they might be set free from this oppressive power in their lives, and enter into the joy of freely living the life of Jesus’ kingdom. Empower people to see that generosity is one of the defining traits of a growing follower of Jesus. If our goal is to follow Jesus closely and represent him well, surely generosity will be an important part of that. Not a grudging agreement to give some of my money here or there when pressed or pressured, but an authentic generosity that finds joy in giving. People come to see that all the contentment and joy that they have been taught they will find by acquiring and keeping money and things, they will actually find in becoming more generous. They have been designed by God to give, not to amass. The scriptures are filled with exhortations for God’s people to be thankful, and to live lives of gratitude. When people are encouraged to think of their lives more in terms of gratitude and contentment as they grow in this adventure of following Jesus, they are free to think more seriously about generosity. Offer practical suggestions. A follower of Jesus should avoid developing a life style in which he/she cannot afford to be generous. That has been my answer to questions like how large a house should a follower of Jesus live in, or how large a car should they drive. Give enough that you feel it stretch you and make you wonder if it is too much, has been my response to questions about how much to give. I suggest people try to add an additional one percent of their income each year, and see how that goes for them. Encourage people to always be growing, to never think they have arrived, and to enjoy the process! Harold Percy is a Congregational Coach with the Institute of Evangelism. He served at Trinity Anglican Church in Streetsville, Ont. for 19 years, helping to grow it into one of the largest congregations in the Anglican Church of Canada. Harold is the author of three books. 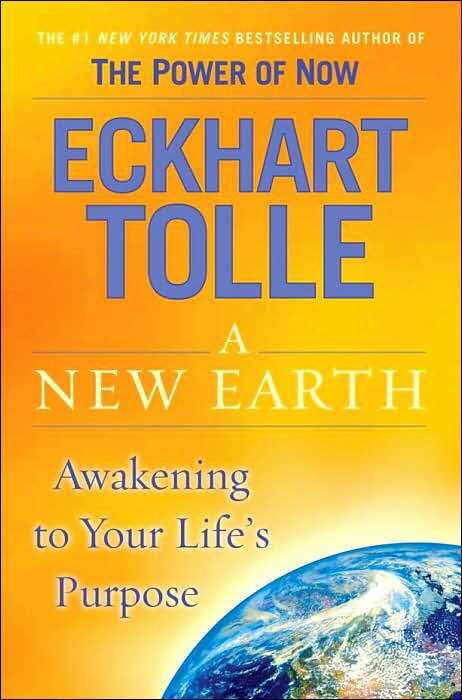 The name Eckhart Tolle is hardly a household name—at least, yet. Earlier this year, his book The New Earth, was chosen by Oprah Winfrey as the choice of her Book Club and has sold 3.5 million copies so far. (And to think I was excited that my Narnia book has sold almost 1,000!) He has appeared with Oprah several times and they have hosted webinars (online seminars) together when people phone and Skype in with their questions: over two million people have taken part in these courses so far, and 27 million have downloaded them afterwards! That’s why I say we had better get used to the name Eckhart Tolle. So who is Tolle and what is he teaching? I have read most of his book, The New Earth. I have watched videos of him and of Oprah and of the two of them together. (Lots of them are on YouTube.) And I have read a cross-section of what people are saying about him and his teaching. The most helpful I found are a pastor and theologian called Greg Boyd, and a teacher from Tyndale Seminary in Toronto called Jim Beverley. Some of what I am going to say is based on what I learned from them. First of all, there are things in this book that are very positive. Tolle talks about the importance if living in the present. If we are always planning and worrying for the future, or living in the past, we miss out on the good things that are happening right now—the smile of a child, a sunset, or the smell of a flower. Tolle reminds us that it’s no use trying to get our sense of self-worth from things or from money or from having influence over other people. It’s a waste of time, because it doesn’t work and it doesn’t last. And he reminds us that religion can damage our spiritual health. Instead of being a door into helping us to explore our spirituality, it can actually be a door slammed shut against our spirituality. Many of us have known the kind of churches he’s talking about. Nobody wants that kind of religion . . . and it certainly has nothing to do with Jesus. I can’t say any of these are new ideas, but it’s helpful to be reminded of them. Tolle says he is against what he calls “belief systems”—“a set of thoughts that you regard as absolute truth.”(17). He thinks we should let go of “form, dogma, and rigid belief systems” (18) so we can be free to experience enlightenment. Sounds good, doesn’t it? The problem, of course, is that on every page of his book he is setting out his beliefs, “a set of thoughts.” What’s more, he’s very dogmatic in his beliefs. For example, he tells you what Jesus really meant, which apparently nobody has understood for the past 2,000 years. And if you disagree, well, you’re wrong—or at least unenlightened. But Tolle never tells you how he knows the things he says: he just says them, gently and with a smile, but dogmatically and with great authority. It’s ironical, isn’t it? Although he says he is against religions which think other religions are wrong, what is he offering in their place? A religion that thinks other religions are wrong. What is wrong with this picture? It has been said that “God is love” but that is not absolutely correct. God is the One Life in and beyond the countless forms of life. Love implies duality: lover and beloved, subject and object. That sounds innocent enough, to say “that is not absolutely correct.” But it’s actually very radical. When the Bible says God is love, it means there is a God who is separate from me, who is my creator, and who loves me and the whole world. 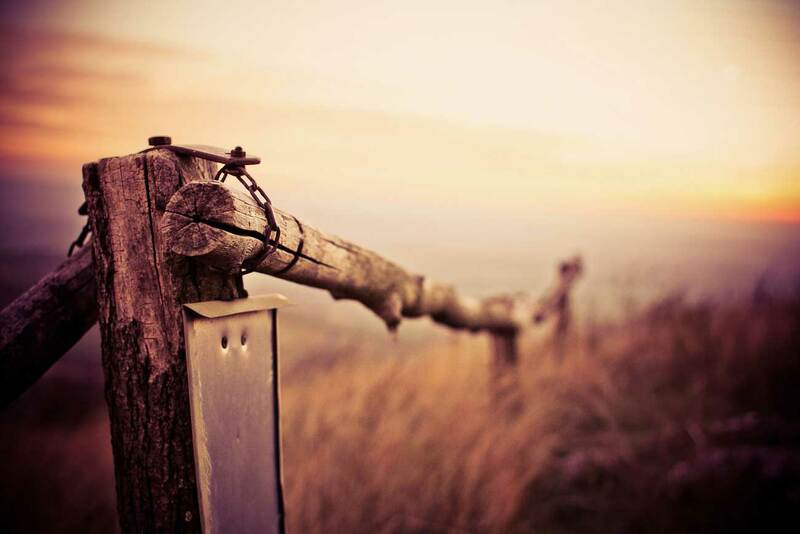 For Tolle, there is no “God” in that sense, no God who is separate from me. In a sense, everything is God, including human beings. In fact, he often refers to people as “I AM” (in capital letters), a name God calls himself in the Old Testament. He takes the view that people exist just like waves on the sea. A wave is there for a short time, but then it goes back into the ocean and loses its identity. Human beings are the same: we exist for a time, but really we are a part of the ocean of universal consciousness, and that’s what we return to after death. That’s an ancient and respectable point-of-view. But it is diametrically different from Christianity. Christians want to say, No, human beings are more than waves on the ocean. They are made in the image of God—not that we are God but that there is something amazing and wonderful and god-like about every one of us. And this fact that we are who we are—our personhood—is a precious gift from God. Tolle doesn’t so much talk about salvation so much as about enlightenment. Enlightenment means realizing that you are just a wave of the sea, that you are a part of universal consciousness. When you’re enlightened, you can then live in harmony with the universe, and that brings a kind of peace. But this is not the same peace the Bible talks about. Being at peace with God, as Christians understand it, doesn’t mean that everything is one. No, it means that we can be friends with God our Creator because Jesus has dealt with our wrongdoing. It’s like the peace that comes after a war, when the peace treaty has been signed. Tolle quotes Jesus about a dozen times in this book, and (how can I put this nicely?) I would say every single time he twists what Jesus meant. How can I say that? Am I being dogmatic too? Yes! But when Jesus says “the kingdom of God” there is no way he is thinking of “inner space” or “spiritual enlightenment.” He is a first-century Jew and what he meant by the Kingdom was what all first-century Jews meant by the kingdom—the community where people live in relationship with God and with one another and with the world around in accordance to the Creator’s laws—not what 21st century New Age Western teachers mean by it! There’s lots more that could be said. But let me finish with this: Eckhart Tolle reminds us that people are deeply spiritual, and that they are seeking for some kind of spiritual reality beyond this world to make sense of their lives. But Tolle also reminds Christians that we really haven’t done a very good job of representing Jesus to the world, and helping people discover true spiritual fulfillment as followers of Jesus. As we come to the table this morning, and hold out our hands to receive the bread and the cup, it reminds us that we are not God, and that our destiny is not universal consciousness. It says to us that God is our Creator and our Lover, and that we are his creatures, his children, and his friends. It reminds us that he loved us enough to die for us. And that he invites us to live for him. The image of God we carry around in our head is one of the most important things about us. Accurate and inaccurate images of God can lead to very different conclusions. For instance, many people have the image of God as very religious. But, from the teaching of Jesus at least, that is a pretty inadequate image. For one thing, the God Jesus believed in is the creator of all of life—not just the religious dimension of it. One implication of this is that, if God wants to communicate with us, God does not have to wait till we take an interest in religion. God can begin to communicate with us through all sorts of things—through friends, through our school work, through circumstances—or even through a movie which raises spiritual questions. For me, Stranger than Fiction is just one of those movies. Let me tell you what I want to do. I want to offer what English students will recognize as a kind of whimsical “reader response” to Stranger than Fiction. I’m not claiming that this is what the director or the script-writer “meant”: I’m simply saying, these are some of the resonances the movie had for me as a Christian. One reason I want to do this is that I find that many people have never heard an explanation of Christianity that they could understand. They’ve heard some that were horribly religious, or made outrageous assumptions, or used weird technical language, or just seemed too ludicrous to believe. I’m hoping that explaining Christian faith with the help of the movie will help it make sense to you. If you are not a follower of Jesus, I don’t expect that it will make you a follower of Jesus by the end. But if you get to the point of saying, OK, I think I have a clearer sense of what Christianity is all about, I will be very happy, because then you can make an informed decision about it. And of course that clearer understanding may also be something that God is wanting to communicate to you right now! The story revolves around Harold Crick, played by Will Ferrell. Harold is an IRS audit agent and (among other things) a numbers nerd—he counts the number of times he brushes each tooth, the number of steps to his bus stop, and so on. We are introduced to Harold by a voice (a woman’s voice, English, upper class, and with that hint of sarcasm which is so typically English), which describes what’s happening. But then Harold begins to hear the voice too. First of all he’s alarmed, then irritated by the voice. Who the heck is this? How does she know so much about his life? And, of course, the $1,000 question: What is the connection between what he does and what she says? Is she just describing what he chooses to do? or is he simply carrying out what she describes? Whose life is this anyway? Then he notices that his watch has stopped. He resets it, and the voice says, “Little did he know that this seemingly innocent act would result in his imminent death.” Now Harold is really scared. He goes to a psychiatrist (Linda Hunt) who decides that it’s simply a case of schizophrenia. But his problem is about a story, so he goes to see an expert in stories—Jules Hilbert, an English prof (played by Dustin Hoffman). One thing Hilbert suggests is that Harold should find out whether his story is a comedy or a tragedy. That way he will know whether it has a happy ending or not. By this time he is falling in love with the owner of a bakery whom he’s auditing, Ana Pascal (played by Maggie Gyllenhall), so he tries to keep a note of whether the progress of their relationship indicates tragedy or comedy. For a time tragedy seems to be way ahead. But then it seems that, against the odds, Ana is falling for Harold, and Hilbert says this means it’s a comedy: this wouldn’t happen in a tragedy. Then Harold hears the voice of his narrator on TV, and Hilbert recognizes her. It’s Karen Eiffel, a reclusive novelist. He says, “She only writes tragedies. She kills people.” In particular, she always kills off her main characters. Harold discovers her phone number among the IRS records, and phones her. Then, in one of the most dramatic moments in the movie, just as she is typing, “The phone rang,” the phone rings. She is startled. Is it a coincidence? She types, “The phone rang again,” waits a second, and sure enough the phone rings again. With rising panic, she types, “The phone rang a third time”—and of course it does. And so the author and her main character come face to face. But then Harold reads the book for himself, and here comes a turning point in the story: he changes his mind. He tells Karen: “I love your book and I think you should finish it.” And so he commits himself to acting out the end of the script . . . And that’s as much as I’m going to tell you. To me, this movie illustrates a number of significant themes in Christian spirituality. One of the biggest themes in the story is the tension between the author and the character. The Emma Thompson character is a kind of God-figure, with power of life and death. In the movie, as far as we can tell, Harold can’t change the course of the story: this seems to be confirmed when the wreckers begin to dismantle his apartment. He can ask the author to change it, but she has the last word. Our job as human beings is to play our part in the story. It’s not quite the same as Harold in relation to Karen Eiffel, because the way Christians understand this idea of God’s story is that we have been given freedom—not the illusion of freedom (as Harold has the illusion of freedom), but true freedom. So there’s a tension that comes from thinking of God like this: on the one hand, God is writing a story but on the other hand, we have the freedom to play our part, but also the freedom to say no. How can we follow a script and be free at the same time? But, like Harold, we have some disagreements with the author. We may not like the way the story is going. Sometimes we don’t care for the part that’s been written for us. Sometimes the story requires us to be unselfish, or forgiving, or generous, and we don’t feel like it. I don’t know how you would define sin if you had to. . . . One definition I find helpful it to think that sin is insisting on writing my own script. Shakespeare could, in principle, make himself appear as Author within the play, and write a dialogue between Hamlet and himself. The “Shakespeare” within the play would of course be at once Shakespeare and one of Shakespeare’s creatures. Jesus didn’t travel through space or time to be present in our world. He “moved” (and even that is a metaphor) from one mode of being to another. So the person we meet in Jesus is the Author who has written himself into the script of our story. What’s clever about Stranger than Fiction, of course, is that the author lives in the same world as her creation. Normally authors and their characters live in different worlds, which is why Lewis’ analogy can work. But by putting Karen Eiffel in the same world as Harold, the movie actually gives us a glimpse of what Jesus is like—not a neurotic chain smoker who imagines committing suicide, of course, but a human being who is approachable and who understands our problems. Because, of course, when Karen learns that Harold is a real person, she understands instinctively how difficult it must be for him to be part of her story. And when Harold learns that his author is in the same world as him, he can find her phone number and go and talk to her. So when Christians talk about prayer, they’re not thinking about talking to a distant, vague kind of God. They believe they’re talking to a God who has been a part of our world, who knows from personal experience what it’s like to be a human being, who has experienced hunger and suffering, joy and sadness, who has hung out with friends and who’s been let down by friends—and (ultimately) a God who has experienced death. That’s the Christian doctrine called Incarnation. Talking of death, there’s another point at which Harold is both similar to Jesus and deeply different from Jesus: they both know they’re going to die, but they respond differently to knowing that. In Harold’s case, one of the turning points in the movie is when the voice announces calmly, “Little did he know that this seemingly innocent act would result in his imminent death.” So . . . what do you do if you know you’re going to die? Jules Hilbert has an answer. He advises Harold that, if he knows he’s going to die, he should just live the life he’s always wanted, do whatever he wants to do: which he does. He stops wearing a tie, starts wearing a red sweater (very daring, for Harold); he stops counting tooth brush strokes; he learns to play the guitar, something he’s always wanted to do; he goes to funny movies; and he makes love to Ana. In the end, of course, Harold does something unselfish, but that’s not his first response to accepting that he’s going to die. It’s simply to have a good time. For Jesus, the knowledge that he’s going to die doesn’t come via a voice from the sky. The realization seems to grow slowly on him: he experiences increasing opposition from powerful forces in his world, and sees intuitively how this is going to end. So about halfway through his biographies, he begins to warn his followers that this is going to happen. His response to knowing he’s going to die is different from Harold’s. Instead of just doing whatever he has always wanted to do, he continues to give his life for others every day—the sick, the lonely, the bereaved, the marginalized: so that what happens on the cross on the first Good Friday is just the logical climax of what he’s done every day. Christians call this the Atonement: Christ’s ultimate giving of himself for humankind’s ultimate problem. Another theme of the movie is the question of tragedy and comedy. Will Harold’s story have a happy ending or a sad ending? You can ask the same question about this image of the Christian story. Is it a tragedy or a comedy? Certainly, when you look at some people’s lives, they seem like an unending tragedy. But I learn two things from Harold: one is that, left to our own devices, it’s very difficult to decide which is true. First of all, he thinks his story must be a tragedy (Ana doesn’t love him), then he decides it’s a comedy (Ana does love him), then it goes back to being a tragedy (Eiffel only writes tragedies), and finally . . . Well, even if you haven’t seen the movie, the fact that it is a Hollywood movie means you can guess what kind of ending it will be. But the second thing I learn from Harold is that your life does make sense once you read the whole story. When Harold reads the whole script, he realises that it all makes sense. He says, “I read it and I loved it and there’s only one way it can end.” He stops trying to escape his death: he sees how it fits into the story, and he agrees to act it out. It’s a tragedy, sure, but it’s a great tragedy. Christians believe that the Bible is God showing us at least the outline of the story he is writing. The story is about a good and beautiful world that has gone horribly wrong, and of a Creator who intervenes in the world to put things right. And (guess what?) when you get to the end of the story, in spite of all the awful things that happen between the beginning and the end, it’s actually a comedy—the divine comedy. I remember once explaining the difference to my kids: that the arc of tragedy is upward—Macbeth succumbs to pride, and rises slowly and violently to power, but then he is brought down and things revert to normal. The arc of comedy, however, is the other way up. Things start OK, but then they begin to go wrong, and get more and more confused until you think they will never get resolved—but then in the end, everything is straightened out and everyone lives happily ever after. And my daughter Anna said, “You mean it’s like a happy face and a frowny face?” Which I guess it is. God’s story, as Christians understand it, is ultimately a comedy. For anyone who chooses to co-operate with the Author, whatever happens along the way, the ending is always a happy one. And this is true even though death is always a part of the equation—Jesus demonstrated that. Death never has the last word: the last word in God’s story always goes to joy. The last thing I have been thinking about is an idea that’s not in the movie, but it is in the Christian story, and it’s this: that the Author is trying to get our attention. In the movie, it’s the other way round: the character is trying to get the attention of the Author, who doesn’t know he exists. In God’s story, the way Christians understand it, the Author is trying to get the character’s attention, even though the character may not believe in the Author! God tries to get our attention through any number of means: through friends—Christians who don’t fit the caricature the media feed us; or it may be ideas about meaning and reality that keep coming back to us and nagging at us; or an answer to prayer that we prayed when we were desperate and we think in alarm, Maybe there is a God who’s interested in me. There are a thousand ways God can try to get our attention. Even, of course, movies that make us think about spiritual questions. And why might God want to get our attention? In the movie, the reason Harold wants to track down Karen Eiffel is to get her attention before she kills him. In the Christian story, the Creator’s story of the world, the Author wants us to pay attention because God loves us. God designed human beings so they work best in relationship to him. But if we keep trying to run our own lives, write our own pathetic little stories, naturally we will run into trouble. There is no story you could write for yourself, or a story your culture could write for you, which will be as good as the story the God who created you is writing for you. Here is the last technical Christian term I’ll offer you: Gospel. Gospel means good news, and Gospel has always been at the heart of Christianity. So what is this Gospel, this good news? Here’s one way to say it: the good news is that by following Jesus, you can become the person God created you to be, and you can play your part in the great story, the Divine Comedy, God is writing about this world. Like Harold, we can say Yes to the Author, and begin to live our lives in the light of the Great Story. And that is the greatest adventure that can ever befall a human being, because it is what we were made for. What’s Wrong with Amazing Grace? What’s wrong with amazing grace? The first and most important answer is: Nothing. You need to know I believe in grace, and it is indeed amazing. Whether you consider yourself a follower of Jesus or not, you are here because of grace, you are alive because of grace. If you wake up tomorrow morning and get to live another day, that will be because of grace. What is grace? Grace is God’s amazing generosity to a world that does not deserve God’s generosity, cannot buy God’s generosity, and (generally) does not expect God’s generosity. Of course, if you are a follower of Jesus Christ, you know more than that about grace: you know that God forgave your sins when that was the last thing you deserved, that God has welcomed you into his family, made you his friend, taken you into his confidence about his plans for the world, encourages you to be his apprentice in turning the world right side up. That’s amazing, and that’s grace! . . . But I do have some problems with the song called Amazing Grace, because I actually think grace is bigger and therefore more amazing than the song lets on. So let’s start with the song. It is beloved of so many, in and out of the church. How can anyone find anything wrong with it? The first thing that might cause us to hesitate is the fact that the song is so popular in secular circles! Here are about twenty randomly selected names of artists who have recorded this song: Andy Griffith, Ani Difranco, Billy Ray Cyrus, Christina Aguilera, Daniël Lanois, Diana Ross, Dolly Parton, Janis Joplin, Jerry Garcia, Joan Baez, Judy Collins, Kylie Minogue, Pete Seeger, Rod Stewart, Woody Guthrie, and Willie Nelson. I don’t want to be mean or judgmental, but I am not aware of any of them claiming to be followers of the Jesus who brought amazing grace to the world. That’s not necessarily bad: after all, maybe God will use the song to nudge them towards Jesus. But would they sing it if it were a bit moiré challenging? a) It’s interesting that there is no reference to Jesus or his cross: the way Christians understand God’s grace, this is where we see it most clearly: that God would go to such lengths for us. When we think grace, we don’t just think a benevolent, grandfatherly, “as long as they’re happy” kind of kindness: we think of a man two thousand years ago who suffered a brutal execution (compared with which that of Saddam Hussein was positively humane and benign). Maybe one reason secular singers like it is that it doesn’t mention the dreaded J-word or that messy execution. b) The song is more about me than about God (the words “I”, “me” and “mine” come three times in each of first four verses). But Christian spirituality is not “all about me.” Certainly that’s a part of it: that God should graciously pay attention to little ol’ sinful me. But I am not where grace begins and I am not where grace ends: it begins in the heart of God before the world was ever made, and it involves the whole world, and will end with the renewal of the whole world. By grace, God sweeps me up to be a part of that—that’s the thrill of amazing grace—but it’s not what it’s all about! But because of our sinful nature and the emphasis in our culture on “me” (think of all those uses of “my” in Windows, for example: “My documents,” “My music,” “My pictures”, “My video” etc.—my computer comes with ten such files), it is easy to become obsessed with this piece of the puzzle, and forget that we’re not at the heart of it. c) And lastly, there is no reference to what we do in this world if we have experienced grace. Grace here has nothing to do with living a lifestyle of grace in this world: it’s just a vehicle to get us through this world unscathed as quickly as possible, to survive the “dangers, toils and snares.” I can’t wait to get to heaven and escape from this vale of tears. It reminds me of that 60’s Gospel song: “This world is not my home, I’m just a-passing through.” Get me out of here as quickly as possible! I don’t think that’s exactly the attitude that Jesus encouraged in his disciples. Now, we need to say this song makes better sense if we know the story of John Newton. For him, Jesus was very clearly the centre of his faith. If this song seems a lot about me, it’s because of his experience. He was a slave trader, carrying slaves from Africa to North America, who turned to God when his ship was about to sink during a terrible storm on the Atlantic. He really felt he was a terrible wretch. He was amazed to discover that God didn’t treat him as he deserved, he was amazed that he was still alive, and he was amazed that God could love someone like him. Neither was he a man who was so heavenly minded as to be no earthly use. His belief in heaven actually led him to work for the abolition of the slave trade he had once supported, and when William Wilberforce was wondering about whether he should become an ordained minister or fight against slavery in the British Parliament, Newton encouraged him to stay in parliament and serve God there—which changed the course of English history. So there is no question that Newton lived out his experience of grace in a life of discipleship. Having said that, at the same time, I want to say that grace is more than that and more amazing than that! Love your enemies and pray for those who persecute you, so that you may be children of your Father in heaven [he wants to remake us in the image of God]: for [because] he makes his sun rise on the evil and on the good, and sends rain on the righteous and on the unrighteous. for the unjust hath the just’s umbrella. But the point Jesus is making is that God is indiscriminate in his goodness, blesses people in a thousand ways, whoever they are and whatever they’ve done, and whatever they think of God! That’s amazing, and (guess what?) that’s grace. The apostle Paul taught the same as his Master. In Acts 14:17, he says: God has not left himself a witness in doing good—giving you rains from heaven and fruitful seasons, and filling you with food and your hearts with joy. He is preaching to unbelievers, and he explains to them that God has blessed them with material blessings—why? For the simple reason that they can be satisfied and joyful. Amazing, eh? This is God’s grace, as much as the grace that flows from the cross of Jesus Christ. In fact, they are sides of the same coin, or two points along the same continuum. Both are expressions of God’s love, both are grace . . . and both are amazing. Maybe somebody could write a song about that. Once I got out into The World, to my surprise I found a lot of people who were actually good people: they were intelligent, caring, forgiving, thoughtful and funny. They had good marriages and solid friendships (at least, as many as Christians do), did their jobs creatively and conscientiously, and gave to charity. All my life, I’d been taught that because they are sinners, and the world is a bad place, they would all be mean, spiteful, greedy and lustful, all the time. And it simply wasn’t the case. As a result, their faith faltered, and in some cases disappeared. But if they had had a doctrine of this kind of grace—common grace, as Reformed folk call it—their faith would not have been shaken. They would simply have said, Wow, this is wonderful: God is blessing these people so much! Yes, they are sinners like everyone else; yes, they need to trust in Christ for their salvation. But God loves them anyway: all these good things in their lives are gifts of God’s grace, but they don’t realise it yet. In Paul’s mind, common grace and saving grace are connected: in Romans 2, he asks: “Do you not realise that God’s kindness is meant to lead you to repentance?” Some people are brought to Christ because they have a sense of guilt and are looking for forgiveness, some come because they have a sense of emptiness in their lives and realise that only God can fill it: but it sounds as though Paul is saying, some have experienced amazing blessings from God, and a proper sense of gratitude ought to bring them in faith to God. If God’s grace to me in creation is amazing, how much more his grace in salvation! But there’s another dimension to this grace business, and it links common grace (God’s material care for everyone) and saving grace (God’s love through the death of Christ). This aspect is what John Wesley called prevenient grace. What he meant by this was that God is at work preparing people’s hearts to hear about Christ, nudging them, drawing them, trying to catch their attention, causing them to think about questions of faith. This happens long before the person deliberately says, Yes, I want to trust Christ. It’s the kind of grace that clears the stones out of the field, ploughs up the ground, sows the seed, waters the seed and waits patiently for a harvest. We might add, it is this kind of prevenient grace which makes people question the meaning of life; it’s prevenient grace that makes them wonder why they can’t forgive more easily; it’s prevenient grace which makes people look at the stars and say, There must be a God out there. This is the kind of grace that Paul banks on in Acts 17. He doesn’t start in by talking about sin and the Athenians’ need for a saviour. He talks first of all about three ways that God has been trying to get their attention. There is the altar to the unknown god (23): God has convinced them that there is a god whom they do not know. Paul can tell them this God’s name. Then he quotes things from their own religion—truths that they have figured out (with the help of prevenient grace): in verse 25 he speaks of God as the source of everything (which the Stoics believed) and that of God not needing our help (which the Epicureans believed). You can imagine them nodding as he said these things. Then thirdly in verse 28 he quotes from their poets Aratus and Epimenides: “In him we live and move and have our being” and “We too are his offspring.” Now these poets were actually writing in praise of the pagan god Zeus not the God of Jesus: but Paul has no hesitation about saying (in effect), Actually you were writing not about Zeus but about the Creator God of the Jews. How was Paul able to do this? First of all, he knew that, somewhere in this pagan culture, God was at work, because he believed in prevenient grace. Then he says, “As I walked about your city and looked carefully at the objects of your worship, I found . . .” So he looked carefully to see what clues God had planted, or (if you prefer) to see where prevenient grace was at work, so that he could show the Athenians how it pointed to saving grace as found in Christ. If we don’t look for these things, we won’t find them. I suppose I came to these convictions about grace through doing the work of evangelism in the universities. I discovered that if I lectured on the resurrection, nobody came. But if I lectured on “Jesus is Alive: Elvis is Alive: What’s the Difference?” people were fascinated. One useful example that came along was the cartoon strip Overboard. I don’t know if you read it, but it’s about three pirates and their Labrador dog Louie on their pirate ship. But occasionally an extra character turns up: he sits at a drawing board, and there is a sign on the wall saying “Overboard Inc.” Who is he? Well, he’s the creator: and the characters come and argue about him: sometimes they don’t like the lines he gives them, sometimes they want to write the story themselves, sometimes he lets them experience the results of their foolish choices. So . . . Three aspects of grace: I won’t call them three kinds of grace, because they all show the love of a generous God. Common grace: God’s material blessings on all humankind regardless of whether they believe or not. Saving grace, when we put our trust in Christ and are caught up into God’s purposes for the world. And we need to understand all of them: if we only stress common grace and prevenient grace, we will neglect the cross. But if we stress the cross and forget the other aspects of God’s grace, we will be puzzled by the way ungodly people are blessed, and (maybe worse) we won’t see how God is at work in people’s lives or be able to point them to Christ. Let’s rejoice in God’s grace, wherever we find it, and co-operate with the God whose grace is so amazing. Stories are amazing things. Some of them crop up in every culture in every century. Sometimes they turn up in different forms, but still with a recognizable family likeness. There seems to be something about certain stories that appeals very deeply to the human race. I think this is probably one reason we love the Grinch. The heart of the story is really very simple. The Grinch, who is green and ugly and mean lives outside Whoville in a cave on top of Mount Crumpet. He hates Christmas for the simple reason that his heart is two sizes too small. So he hates the fact that the people of Whoville enjoy Christmas. He comes up with a very simple plan: he sneaks into the village on Christmas Eve and steals all their toys. Then he waits to hear their wailing . . . but it never comes. Instead he hears them singing for joy because they know that Christmas is not about presents, and the fact that their presents have gone doesn’t faze them for a second. The Grinch realizes the error of his ways, his heart grows three sizes bigger, he gives the gifts back, and joins in the fun. I suppose the main theme in the book version of the story is the idea of the outsider, mean and ugly and scary, who has a change of heart, a conversion—something Tolkien called a “eucatastrophe.” If a catastrophe turns everything upside down, a eucatastrophe turns everything right side up, so that there can be a happy ending. There are lots of outsiders in our stories—giants, ghosts, witches, trolls, magicians, you name it. Some are changed (like the Grinch), some are not (like Macbeth). When they’re converted, it makes the story into a comedy; when they’re not, it makes a tragedy. But the movie adds two things in particular to the book. It develops the character of Cindy Lou Who (who just has one line in the book). Really, she becomes the Grinch’s saviour: she is the one who believes he can change, goes up to the top of his hill through all the snow (“on a mission” as the narrator tells us), and invites him to come to the celebration in the village. And as so often in the stories, she’s an unlikely saviour: she’s only a little girl, after all, and (as the mayor points out) her nose hasn’t yet grown in (like the rest of the Who’s) . . . so what does she know? She’s in good company: saviours are usually the last people you’d expect: the miller’s youngest son (not the strong, good-looking oldest son); Frodo and Sam, little Hobbits from an obscure place called the Shire (which most people in Middle Earth have never heard of); Lucy, the youngest of the children in the Narnia stories. The other thing that’s new in the movie is that the Grinch once lived in Whoville. In the book, we never hear how he got to live on the mountain. But in the movie it’s because he is ugly, and he’s made fun of by the other children, and he runs away. So at the end of the story, when he comes to Whoville, it’s not coming for the first time, it’s coming back to the place that was once his home and that he left. This idea of a journey also comes up in stories all over the world. From the Odyssey, where Odysseus goes out and has adventures and finally comes home again, to the Lord of the Rings. So three themes: the nasty, mean outsider; the unlikely saviour; and the journey back home. Why do we like stories like this? Tolkien said it’s because those stories are echoes of the Great Story, the story God is writing about our world and about the human race. They remind us of what God is like, or maybe they prepare us to hear the stories of what God is like. And because the story God is writing is so profoundly true, and so profoundly beautiful, these echoes of the Story touch us deeply, and so we tell and retell them in a thousand forms. And maybe God is trying to get our attention through those stories. 1. Why do we like all these stories about outsiders? Because at some level we know we are the outsider. We all feel like outsiders in one situation or another. So we feel for the outsider, we identify with the outsider, whether the outsider is bad, or simply misunderstood, or a prince under an evil spell. We identify with all sorts. And maybe at some deep intuitive level, we have a memory of being expelled from the Garden of Eden (however you understand that story), and that we’ve been outsiders to God’s plan for us ever since. The outsider: that’s us. 2. Why are we drawn by these stories of unlikely saviours? Tolkien would say it’s because the saviour of the world is not who you would expect in a million years: born in Nazareth (a bit like Newfoundland might be to . . . some people) in a backwater of the Roman empire, a carpenter who never wrote a book, never went to university, and didn’t look like what anyone expected the Messiah to look like. Isaiah wrote, “There was nothing attractive about him, nothing to cause us to take a second look. He was looked down on and passed over.” And yet, says, St. Paul, God takes pleasure in using the weak and foolish and marginalized things that others don’t care about. A baby of dubious parentage born in a donkey’s manger, because there’s no room for him in the inn. An unlikely saviour indeed. 3. And then there’s this idea of the journey, where you leave home, have adventures both good and bad, and then finally come home again. In a sense that’s the story of the human condition: that the human race began as friends of God, servants and children of God, but then we chose to go our own way: as Jesus explained it, like a kid who runs away from home to have a good time, at least until the money runs out . . . and then grudgingly comes home. The story of Christmas is the story of the good shepherd (in those days not the romantic figure we have made him into, but another unlikely saviour) who comes to look for the sheep, the outsider to the rest of the flock, the one that’s strayed from the fold, and then bringing it back home, so that the great party can begin. And that’s what Christmas is really about: the shepherd coming into our world to search for the lost sheep, and to bring it home on his shoulder. The only question is . . . when he comes looking for us, are we willing to be found? Movies are a place where the spiritual concerns of our culture often intersect with the Gospel. John van Sloten has become well-known in Calgary and around the world for “preaching from the culture.” Here he offers a sermon which analyses a popular current movie in the light of the Christian message. 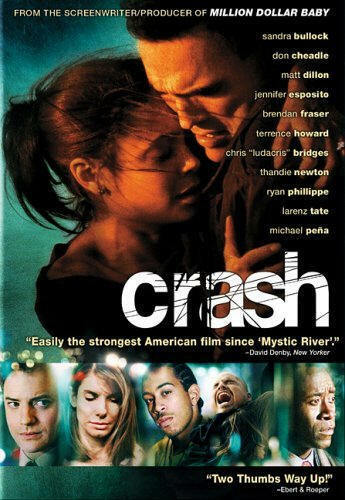 The 2006 Academy Award winning film, Crash, is one of the most profound and powerful films I’ve ever experienced. Its insight into the human condition is piercing; a brutal commentary on our desperate need for God. Unearthing. Disturbing. It wakes you up. If you’ve ever wondered why we need the Christian story of Easter–its Good Friday darkness and its Sunday morning hope–Crash will give you all the evidence you need. And not very politely–in fact it will sideswipe you. “Nobody leaves this movie unscathed,” says Hollywood director Paul Haggis. He’s right. Culpability is assured: so is grace. The primary vehicle used in preaching the message of Crash is racism. But not simply racism: it includes all kinds of relational brokenness. A Caucasian gun store owner toward a Persian man; that same Persian man towards an Hispanic locksmith; a corrupt white cop toward a black woman, another black woman toward that same white cop; the rich toward poor, the poor toward the rich; and, last but certainly not least, we, the viewing audience, toward our very selves. In engaging the film, we realize that we’re no different from the story’s characters; we’re just as broken, just as guilty as they are. There’s a scene where two clean-cut young black men are walking along, talking about the unfairness of racism, the discrimination of stereotyping. As a viewer you find yourself walking alongside them, nodding in agreement with their assertions, sharing their incredulity at the injustice of it all. And then, in a shocking twist of plot, the two pull out their concealed weapons and ruthlessly car-jack a rich white couple. All of your broad minded, liberal sensitivities go out the window. Even our stereotypes of relationally broken reality are not as clearly defined as we’d like to think. Good and evil are inextricably intertwined. Crash unpacks us. A rich white woman screams at her husband regarding her concerns that the tattooed Hispanic locksmith currently working in the next room is a gang member. With him, we’re sickened as we overhear her prejudicial rant; with her, we’re sickened as we overhear ourselves. And then, in the most disturbing subplot of all, we meet a savior, the only redeemable character in the film; a good white cop named Tommy. We seethe with him at his partner’s blatant bigotry. We stand with him when he’s challenged on his racial idealism. We celebrate human potential with him when he saves a black man, caught in an explosive confrontation with police. And then we die with him when, later in the film, he ends up shooting a young black hitchhiker; all because of a meaningless prejudicial misunderstanding. Everywhere we turn we’re faced with questions. Are we really like this? This perverted? This twisted? Have all of us turned aside and become corrupt? Is there no one who does good, even one? Who’s going to save us from this mess? The moment we were at our worst, God was at his best. He died, we found life. We sinned, he saved. Our darkness made his light seem even brighter. And what’s really intriguing about it all is this fact; the whole time this story is playing out, we have no idea what’s going on. We’re being saved behind our backs. While we’re still messed up, and messing up, Jesus died for us. We can see this same reality playing out in Crash. Throughout the movie, we’re given visual clues every time the camera looks down from above on the city, or on a particular scene, offering us a ‘God’s eye’ view of things. This perspective cues us to the fact that someone is seeing all of this. The storyline goes even further; opening our eyes and hearts to the fact that someone is also mysteriously acting through all of this. In a powerful scene of redemption, the most despicable character in the film, a bigoted white cop, ends up being the officer on the scene for a terrible car accident. The black woman whose life is hanging in the balance is the same woman he’d physically assaulted the night before. Initially both are horrified at the situation–and then something else mysteriously takes over. A greater good rises up within that peace officer’s heart and he risks his life trying to free her from the burning wreck. She lets go of her anger and trusts him, having no choice but to let him save her. All the while the mystical musical of the movie’s soundtrack plays in the background. Arm in arm they run from the fiery scene, falling into a trembling, tearful embrace. Then the car explodes and the camera pulls up into the sky. Redemption. Hope. God stepped in and saved them, despite themselves. The whole back half of the Crash story is filled with this kind of serendipitous salvation scenes. Saving foisted upon undeserving souls. The whole back half of our life stories are filled with these kinds of serendipitous scenes. It’s what Easter is all about; God at work behind the scenes, resurrecting us in spite of ourselves–mysteriously, graciously, making all things new. At the time this was written, John van Sloten was the founding pastor of New Hope Community Church (CRC) in Calgary AB. Baptisms are frequently a time when people come to church who do not normally do so. How can one preach in such a way that their attention is caught by the explanation of what is going on, and they want to come back to learn more? This sermon uses the image of the Christian life as a school to try to catch the imagination of such listeners. Christians haven’t always called themselves Christians. “Christian” is actually a label that was stuck on them by people who were not Christians. The name by which the first Christians called themselves most often was “disciple,” literally a “learner” or a “student.” For them, when they thought of Christian faith, the thing that came to their mind first was not church or services or the ten commandments or being a good citizen . . . but learning! Which means that for them the church was first and foremost a school, and the Christian life a process of learning. And for them baptism was simply the way that you enrolled in the school. Well, that raises some interesting questions. Where on earth is this school? What is it for? What do you learn there? What are the teaching methods? Who are the teachers? And where are classes held? Can you graduate? And is it true that the graduate programs are out of this world? The easiest question to answer is: who is the teacher? Jesus! Many times in the pages of the earliest biographies of Jesus he is called teacher; and a couple of times he calls himself by the same title. But what is it that he teaches? What is the curriculum in this school Jesus is running? He said on one occasion, “I have come so that people might have life and have it in all its fullness!” (John 10:10) That’s it! Jesus is a teacher of life: he teaches us how to live as God’s people in God’s world in God’s way-and in the friendship of God. That’s what people saw in Jesus: it’s what gave him that unique quality of being fully alive; it’s what attracted people to be his disciples. They wanted to learn the life that they saw in Jesus. But I want to ask: how do you learn this kind of life? I’ll tell you how you don’t learn it. Jesus’ school is not an academic kind of place. The school of Jesus is not a school for passing on information. You may know the definition of a lecture as the process whereby the professor’s notes become the student’s notes without passing through the minds of either. Jesus was not into that kind of learning. And he gives us a powerful image to explain how we learn. He says, “Take my yoke upon you.” I was in Africa this past summer, and sometimes saw an ox-cart pulled by two oxen yoked together. One reason for doing this is to train young oxen: a farmer will link together an experienced ox and a young ox, and, as they pull the plough together, the older ox shows how it is done, as it were. That’s what Jesus is saying by this picture. He is saying, I am already wearing the yoke of being God’s person in God’s world. Come and walk alongside me, share the yoke I’m already carrying, and I will teach you what I know. Jesus the Teacher may also want to mess with our career plans, or our retirement plans, or our holiday plans. The list is endless: the lessons of Jesus’ school are as diverse as the situations a hundred people can find themselves in over the course of a week! If this sounds difficult, well, it is. But there are encouragements here. Firstly, Jesus says he is a teacher who is gentle and humble. He is the kind of teacher who is nurturing, and patient with our mistakes, and who takes time and trouble with us individually. Then too he says his yoke is “easy.” For anyone who has been a follower of Jesus more than about 24 hours, that sounds a little strange. Being a Christian is often tough! But I believe that what he is saying is that his yoke is well-fitting. It’s like when you’re looking for a pair of new shoes, and you finally find one that’s just right. You say, “That’s a really easy fit”, meaning it’s comfortable, it’s right for you. This is the sense in which Jesus’ yoke is “easy”-not that it’s no sweat but that it fits us well. After all, in those days, yokes were made one by one for individual oxen, so Jesus is saying, My yoke is made specially for you. It doesn’t mean there won’t be work, it doesn’t mean there won’t be difficulty-but it will still be the yoke I made for you. One more thing. Jesus was being pretty practical when he said these words. And when he said, “Come to me!” that wasn’t a theoretical statement, and his hearers knew it. What we’re doing today by baptizing Laura is registering her in the school of Jesus. We want her to grow up with Jesus as her teacher, so that she learns to be the unique person her Creator planned for her to be, to live as God’s person in God’s world in God’s way-and with the friendship of God. But what about us? Some of us have never thought of Christianity this way. It’s a new idea. Others of us would have to say, Well, I used to be involved in church when I was younger, but I’ve kinda skipped a lot of classes in recent years. But, you know what? In one sense, nothing has changed since that first day. We can speak to him just as if he were present here in the flesh. And the offer of becoming his student, learning to live as God’s person in God’s world in God’s way, still stands, whoever we are, however long we’ve been out of school. And his invitation, “Come to me”, is just as real today as it was two thousand years ago. And now just as then he waits to see what we will say.